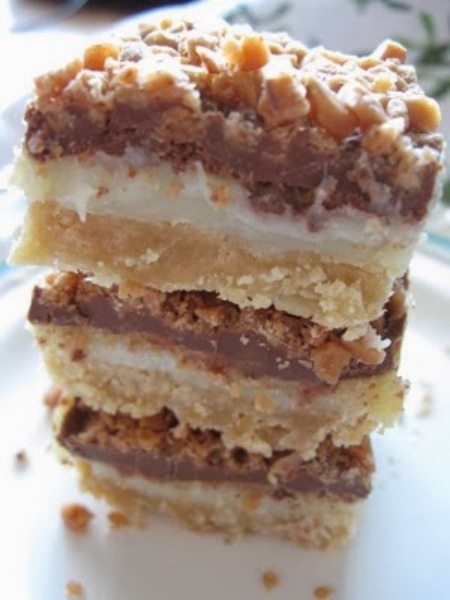 Toffee Chocolate Bars. One of the best desserts ever! they are simply amazing and so easy to make! Base : ream together margarine,brown sugar and flour until well blended and mixture sticks together. Press into 9x13 pan. Bake at 350* for 20-25 min or until light golden. Cool while preparing filling.